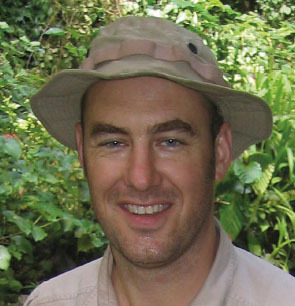 James Moore is clinical director of the Exeter Travel Clinic, co-editor of the Oxford Handbook of Expedition and Wilderness Medicine, and co-director of the International Diploma in Expedition and Wilderness Medicine. As soon as I walked through the doors of the emergency department (ED) at Bristol Royal Infirmary on a training placement many years ago, I knew that was where I wanted to work. The buzz of controlled excitement, unpredictability, amazing teamwork and can-do attitude appealed to my character. Probably applied to join the Armed Forces, and most likely the Royal Marines. I think that would have been the only path capable of providing the experiences I have been fortunate enough to have. How have you developed your skills? I completed courses such as advanced life support and advanced trauma life support, and became a course instructor. I then completed a diploma in tropical nursing at the London School of Hygiene and Tropical Medicine, a diploma in travel medicine at the Royal College of Physicians and Surgeons, Glasgow, and a degree in emergency care from Plymouth University. As an expedition medic it is important to develop skills in areas such as navigation and mountaineering, so I have obtained the Mountain Leader award, one of the best courses I have done. How does your current job make use of these qualifications? While based in Bristol as an emergency nurse, I met one of the most influential people in my career, Jon Dallimore, a pioneer in developing expedition and wilderness medicine training in the UK, who invited me to teach emergency care to people planning expeditions. This combined my two passions, travel and health care, and introduced me to the world of expedition medicine. The skills and knowledge learned in EDs have been invaluable in my travel and expedition medicine career. These include being able to improvise and respond in a rapid yet measured way to situational or environmental changes. No other career comes close to combining my love of travel and delivering expedition medicine. My career is a little unusual: the day-to-day work is more controlled and predictable but I get to prepare people for some amazing adventures, as well as travel to incredible locations such as the jungles of Papua New Guinea, the Nile and the Bolivian rainforest. What is the greatest challenge you have faced, and how did you overcome it? Developing the International Diploma in Expedition and Wilderness Medicine required an enormous amount of work and determination, but the finished product, launched last year, was worth the effort. The diploma will set a new standard in the academic training of this medical sub-specialty, so I look forward to spending the next few years inspiring a new generation of expedition medics. Early in my career in Bristol my lead nurse was a great inspiration, and Dr Dallimore has been a wonderful mentor and guide. Outside of work, I would say Ernest Shackleton and Captain Cook: fearless men who wouldn’t take no for an answer. What has given you most satisfaction professionally? I remember caring for a teenager who had lost control of his car, which resulted in his girlfriend being killed in the crash. Her family members were angry with him, but all I could see was a scared kid whose life had changed forever through a moment of teenage adrenaline-fuelled stupidity. Caring for him made me realise why we do what we do and left a profound mark. Becoming co-editor of the Oxford Handbook of Expedition and Wilderness Medicine, creating a postgraduate course based on this textbook and starting my own business. What makes a good emergency nurse? Enthusiasm, dedication, adaptability, great communication and teamwork skills, all mixed in with a healthy portion of common sense and humour.